Great Highlands Location & Priced Right! 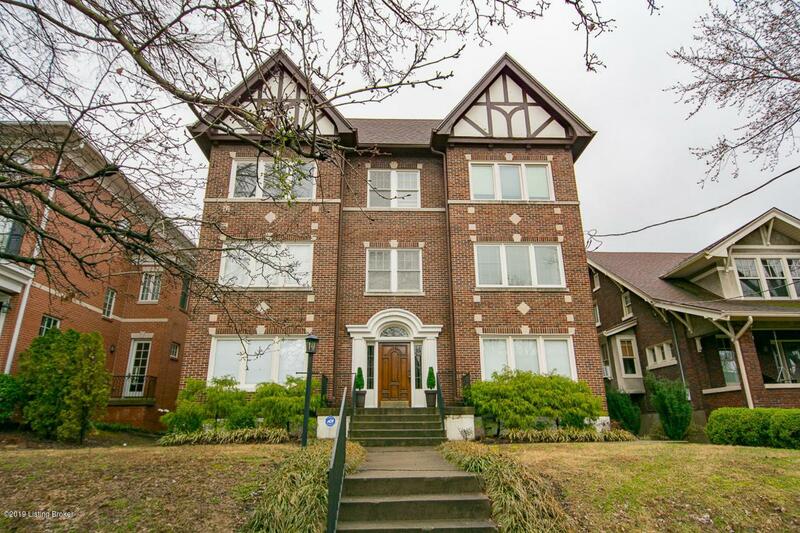 You'll love this beautiful 3rd floor condo located just 5 houses from Cherokee Park & from Alta Avenue's private entrance into park. This 2 Bedroom, 1 Full Bath Condo w/ 1,100 sq. ft. features inlaid hardwood floors throughout (except kitchen & bath), high ceilings & gorgeous archways separating the living spaces. The galley-style Kitchen was recently renovated & offers great cabinet and counter space, gas range & access to the back Deck. Nice view from the rear Balcony overlooking the Patio area. Dedicated secure storage in the Basement & a detached Garage. Monthly maintenance incl heat, water, trash, master insurance, reserve fund & exterior maintenance. Come experience the Old World Charm of this 1920s Tudor-style Building in Cherokee Triangle.